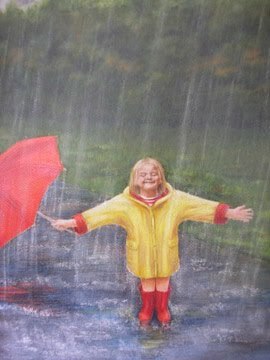 Raye Dawn Smith Forgives: Standing in God's Rain! Stand in God's blessings Everyday! "So, my dear friends, listen carefully; those who embrace these my ways are most blessed. Mark a life of discipline and live wisely; don't squander your precious life. Blessed the man, blessed the woman, who listens to me, awake and ready for me each morning, alert and responsive as I start my day's work. When you find me, you find life, real life, to say nothing of God's good pleasure.